In the view of a prominent travel-marketing expert, chances are very good for Tunisia to lure a growing number of Korean long-haul tourists in the months to come. 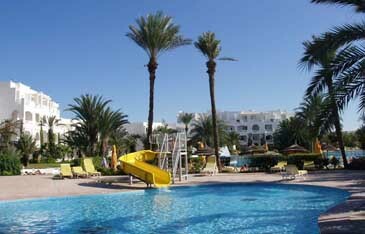 With more than six millions and five hundreds thousands tourists annually visiting the country, Tunisia is the first tourist destination for tourists from Europe, the United States and Oceania, to name just a few. "Sooner or later, Tunisian will certainly be attracting Korean tourists in thousands in upscale market segment in particular," so observed Kim Kyong-Hae, chairman and CEO of Communications Korea (CK) in an interview with The Seoul Times. More recently, he had a serious business discussion with Tunisian Ambassador to Korea Moncef Baati to exchange views on how to promote Tunisia in Korea as well as other East Asian markets including Japan. Tunisian envoy told Kim that with nearly twenty modern golf courses across the country, golf tourism is potential niche. Recently a unique golf course located in the deepest desert has been inaugurated to attract a wealthy clientele from all over the world. Travelers can also enjoy several kinds of sport activities including sailing, windsurfing, water-skiing, and horseback riding. Tunisia, a crossroads of various civilizations, boasts a rich cultural heritage, as testified by its prestigious museums and cultural institutions, according to Amb. 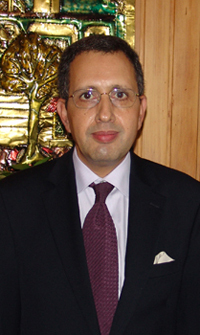 Moncef Baati . While Tunisia is receiving millions of holidaymakers every year from all over the world, the number of Asian Tourists, scored in some thousands, still far from the large potentialities that offers the Asian tourist market. "My observation is that Korean tourists are more likely to be lured by rich historical and cultural heritages of Tunisia than conventional tourism attractions such as beaches, golf courses and shopping," said Kim, who is Korea's PR pioneer of destination marketing. As a journalist-turned marketing expert, Kim is well known for his illustrious PR career. His travel-industry expertise is reflected not only in his 18 years long service as marketing representative for Guam Visitors Bureau (GVB), but also for Australian Tourist Commission (ATC) and Tourism Authority of Thailand (TAT). His destination marketing for three separate tourism hot spots is not only remarkable, but is also being benchmarked by new destinations. "Tunisia has exceptional and historical treasures, including over 20,000 archeological sites and hundreds of monuments, museums and historical centers and a total of eight world heritage sites." Kim pointed out. Tunisia is practically among the few countries in the world, which can offer its visitors the impressive Saharan desert within easy reach. The vast Tunisian south with its lush oases and sweeping Saharan landscapes is increasingly becoming a favored shooting location for international film productions. 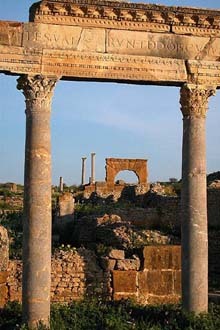 An ancient Roman town of Thuburbo Majus is situated some 60 km southwest of Tunis, Tunisia. An ideal climate, a long and gentle seacoast, Tunisia, the northernmost country of Africa has for over 3000 years witnessed the passage of Phoenicians, Romans, Vandals, Byzantines, Turks, Spanish and French. They came as fugitive s or adventurers, to conquer or to claim, warriors and missionaries, traders and farmers each leaving a part of their story in stone or mosaics, on hills of Carthage and the threshold of the Sahara. This heritage, Tunisia's greatest wealth has been held in trust and preserved in hundreds of sites and museums from the small Punic museum in Utica to the vast collections of the prestigious National Museum of Bardo. Most Museums are closed on Mondays, whereas many on-site archeological museums and ruins are open all week. An entrance fee is usually charged and a caretaker will often act as guide. In particular, Tunisia has the finest collection of mosaics in the world and the majority of these can be seen at the Bardo Museum. This Moorish palace in the suburbs of Tunis was, at one time, the residence of Tunisia's Beys (kings), and besides housing the fabulous exposition of mosaics; it contains an important collection of Prehistoric, Roman, Punic and Islamic artifacts. Classified by region, Sousse, Carthage, Dougga, Bulla Regia the mosaics date mostly from the 3rd and 4th century - their golden age. Of particular interest is the unique portrait of Virgil, and in the Sousse Room, the Triumph of Neptune, one of the largest in existence. Realistic scenes of hunting, a panorama of mythological gods and goddesses, exquisite still lifes of fish and games, the legendary Hercules and the adventurous Odysseus are portrayed with astonishing mastery of form and color. What marvelous skill it was of these unknown artists who used tiny chips of stone to create such beauty! Who has not heard of Hannibal and this city who dared brave the might of Rome? Now the ruins of both these great empires lay open to the sun and wildflowers. Declared a national monument the town of Carthage and nearby Salammbo abounds in vestiges of the Punic and Roman empires, baths, dwellings, temples, shrines and the fabulous naval port of the Carthaginians. The hill of Byrsa, where in the 8th century BC, Carthage was founded by the legendary Princess Elissa-Dido, is a storehouse of history. Newly restored, the former cathedral of Saint Louis, which crowns the hill is now a cultural center and the nearby national museum of Carthage holds an impressive collection of Punic statues, steles and urns. How strange that this breathtakingly beautiful site should have been the theater of such violence, as a Roman historian wrote of the fall of Carthage "the city was then razed and burnt to the ground and the accursed land covered with salt to ensure its barrenness." For a thousand years, Phoenicians were masters of the Mediterranean and over 200 war ships and innumerable merchant vessels were sheltered in the nearby port of Salammbo. At its center the Admirals Island still exists and archeologists are reconstituting the pavilion with its shrine and docks. Next to the ancient sanctuary of the goddess Tanit (Tophet) a quiet, shady square of hundreds of funeral steles. The Romans returned to Carthage and built on its ruins a new Carthage resplendent with great buildings, theaters, villas and baths. Carthage became the administrative capital for Africa and its importance can be seen in the Antoinine Thermal baths, one of the largest built under the Roman empire with the "cool room" an amazing 47 meters long and 15 meters high. The Roman theater is still used today for the summer festival of Carthage. The original inhabitants of Tunisia were the Berbers, followed by settlers and tradesmen from throughout the Mediterranean basin. Throughout the centuries, Phoenician, Roman, Byzantine and Visigoth settlers, colonizers and traders intermingled with the population. However it was the Arabs who, in the 7th century, exerted the most influence and established themselves permanently. Bedouin tribes from the east arrived in the 11th century and further reinforced the Arabic language and Moslem religion. The Berbers initially resisted assimilation retreated to the mountains, the island of Jerba, or the arid regions of the south behind their earthen fortresses, ksours. Centuries of intermarriage and trade broke down their isolation. The Tunisian of today, city dweller, rural farmer, inhabitant of the desert or the mountains is proud of his "Tunisian identity" a composite of various civilization influences. Aware of their rich historical heritage, Tunisian people show a genuine interest and definite respect for others as evidenced in their moderation, tolerance and hospitality. Tunisians are quick to give directions and any form of assistance to the visitor who asks for help. The overwhelming majority speaks Arabic and French. With modern education, English is taught today in all schools and is increasingly spoken especially by younger people. Some German and Italian are also spoken. Destination Marketing Pioneer Kim Kyong-hae, CEO of CK concluded 18-year partnership with Guam last year. Serving a client for 18 years straight as a PR firm is a kind of miracle. But the person who engineered this miracle bode farewell to the Guam Visitors Bureau (GVB) in September 2006 after positioning Guam as a paradise destination for Korean tourists. Kim is well known for his illustrious PR career. His travel-industry expertise is reflected not only in his service as marketing representative for GVB, but also for Australian Tourist Commission (ATC) and Tourism Authority of Thailand (TAT). His destination marketing for three separate tourism hot spots is not only remarkable, but is also being benchmarked by new destinations. "Eighteen years is a long time. We think we need some fresh air on the part of the two sides, and we will look forward to working with other clients for another 18 years!! Guam was not just about the work, but a place I love." said Mr. Kim in a recent interview with the Korea Travel Times, the nation's top-notch travel trade journal. "CK will pursue more PR destination marketing for NTOs (National Tourism Offices), as well as the marketing of attractions, hotels, and tourism activities by offering the travel industry knowledge we accumulated from our 18 years of experience." he went on to say. When asked what he values the most from the past 18 years, he said: "All the moments of the past 18 years are precious, but through our efforts, one achievement created a truly priceless feeling. It was when CK arranged for the filming of episodes of the KBS hit drama, 'Missing You.' in Guam 1992, which resulted in an ad-value of $5 million for Guam's tourism industry, at an actual cost of $50,000." This marked the first attempt in Korea to promote a destination through cost-effective commercial TV programming. This strategy has become a standard for other destination marketing here. Also, CK helped to overcome various crisis situations of tourism destinations based on its crisis management expertise. Australia Tourist Commission (ATC) was another success story for CK. 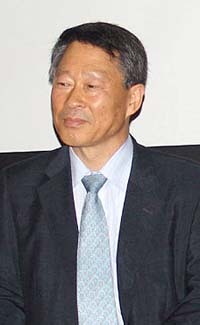 Kim had laid a firm foundation ground for ATC for two years before the full-fledged launching in Korea, resulting in a great success of ATC in the Korean market. Mr. Kim has been a contributing columnist for Korea Travel Times and authored four books about his PR experiences: 'Live On-Site PR Story' (2000), 'Companies that Overcome Crisis, Companies that Crumble from Crisis' (2001), 'Let's PR' (2003), and 'Big Think PR' (2004). Case studies from his writings are often cited in university textbooks on PR and public communication. He also expressed his best wishes for the GVB in Korea.